Great for sending birthday wishes and sharing birthday memories, birthday photo cards are a fun way to celebrate the event. With many templates choose from, you are sure to find one that’s just perfect for the birthday boy or girl. You could also add photos of their family members – parents, siblings, children, grandchildren and their beloved pets. The options are endless – have fun with it, get creative. The card will be a wonderful memento of their birthday and will likely find its way into a photo frame where it will become a real conversation piece. 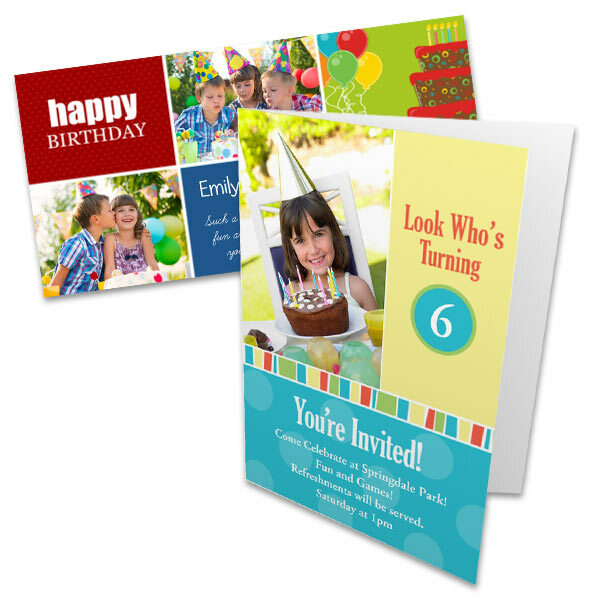 If you are planning a birthday party, custom invitations are perfect for getting the message out there. Create a custom photo birthday card today!